On a gloriously sunny Saturday morning we set sail for Kingston where we took part in “A day on the Beach” celebrations, We motor sailed to Kingston where a fantastic lunch was provided for passengers and crew. Polly gave some very entertaining and knowledgeable talks to the appreciative passengers. Once at Kingston we set all sails apart from two, the main staysail and the pocket handkerchief (baby Jib.) what a sight we must have looked from the shore, sailing back and forth. Thanks to the Kingston Yacht Club launch crew we have some lovely pictures of the ship under sail. 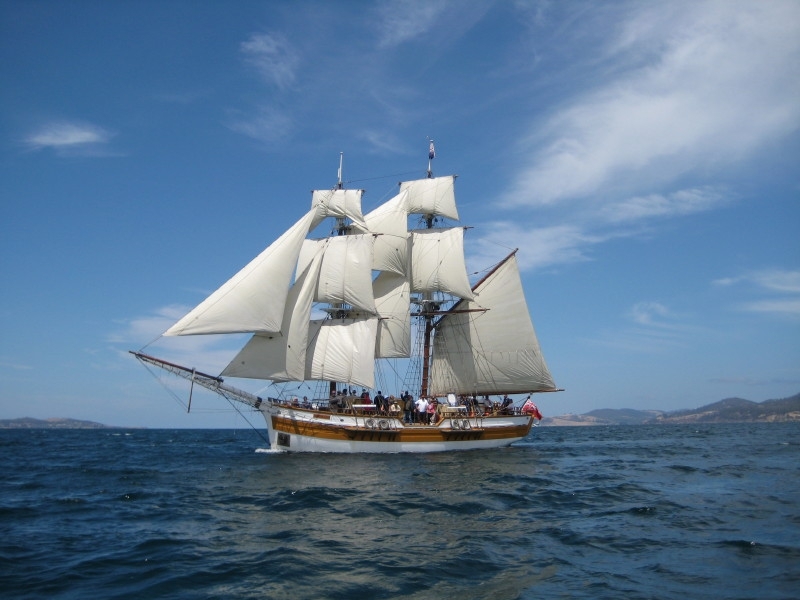 Sailing back to Hobart we put on a sail furling and putting away show for the passengers. 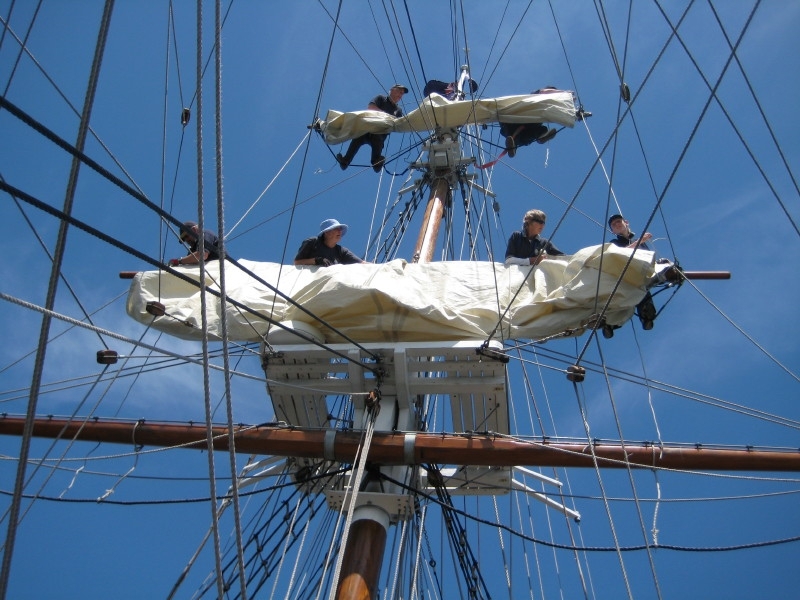 This was a very well received sail, the passengers expressed their pleasure and the crew all appreciated an opportunity to set so many sails. In the evening a new Australian was born, welcome to the family Christine. 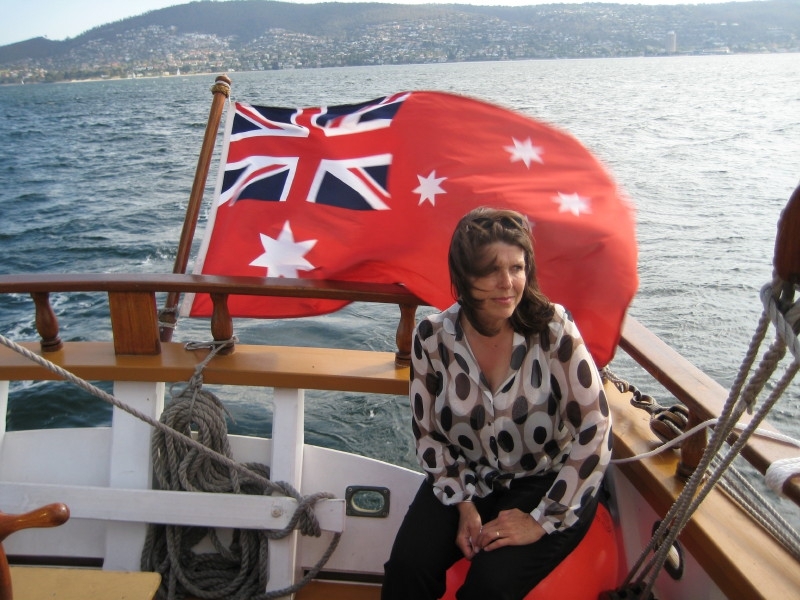 Christine celebrated her new citizenship by throwing a party sail for family and friends. The ship once more set sail and gave the passengers a sight and feel of ship handling, furling and putting away. With many of the passengers being experienced senior crew; it was lovely to see a working crew putting on a flawless display of ship handling. 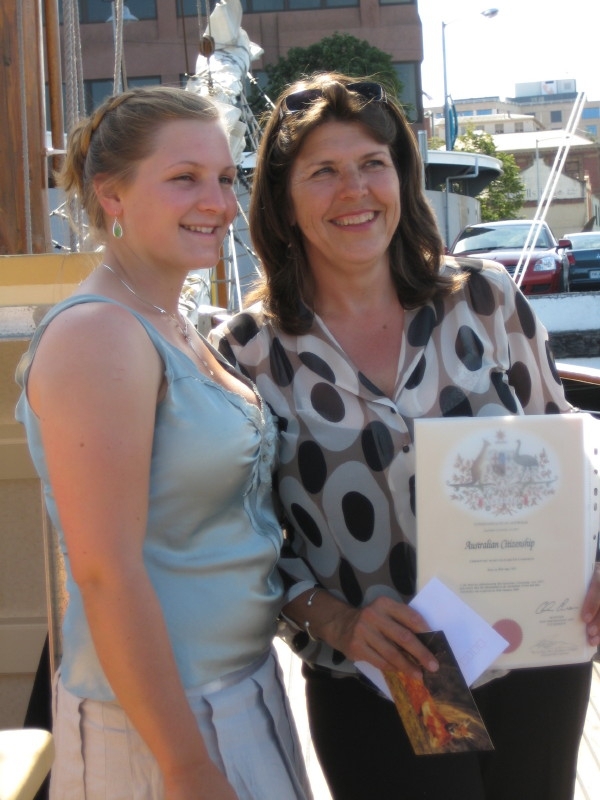 Christine was presented with a variety of “Australian” gifts during the sail including at least two pairs of thongs, Australian towel and stubby holders. Once more Christine, Congratulations from us all. The party after the sail was lovely and marred only by a short shower of rain. This was a day to remember, good sun, good company and good sailing.